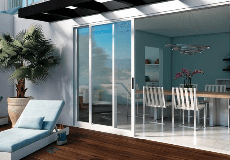 Your source for exterior doors and windows in the Dallas area. Your home’s exterior offers more than just curb appeal. From landscaping to lighting, it has the power to welcome you every time you enter the driveway. Most important to your home’s facade are the doors and windows that become your home’s soul. You rely on your door and window choices to make your home beautiful and inviting, but also to help keep your energy bills low and your family safe. Southwest Door & Window specializes in all three of these very personal needs. We’re committed to making your home as beautiful as you envision it, while offering you energy-efficient replacement windows and exterior doors at competitive prices. Southwest Door & Window is rated 5.0 out of 5 by 8. Rated 5 out of 5 by happyplano from Super clean installation Kay was wonderful to work with. My schedule was accommodated. The installation team was on time and cleaned up the debris and work area very nicely. We are so happy with our door--we slide it back and forth probably ten times each day and say, 'Oooooooohhhhhhh.' Excellent service and product. Rated 5 out of 5 by Details Tile anRemodeling from We love Southwest Door! We have used SD&W a couple times for our big door project at Details Tile & Remodeling. Kay is so wonderful, kind and very knowledgeable - she is also on top of all communication! Rated 5 out of 5 by Ricochet from Solid Products & Top-Notch Service I am a general contractor in the DFW metroplex and are use Southwest Roor & Window frequently. I find their system to be flawless. They come out to the jobsite quickly to make the initial measurement, They then email detailed drawings and specs of each unit which you then sign off on followed by an easy online payment. Within about 4 weeks you have your doors and windows delivered and installed. I recommend these guys for sure. Rated 5 out of 5 by fdcc from Great service and product! The Milgard windows arrived as promised and Kay with Southwest Door & Window provided great service! Rated 5 out of 5 by Dan0960 from Superb product and great installers I had these windows measure and installed in July. The windows are great and have already made a huge difference on my electric bill during the hardest part of the year. The installers were professional, knew there business and efficient. They made sure the windows were a tight fit when they did the final measurements even though it made it harder for them to install. This resulted in exceptional look and results. They were friendly, knowledgeable and I couldn't be happier. I would recommend Southwest Door & Window and the Milgard windows to everyone. I love the warranty with the Milgard and believe this was the absolute best choice and so far my electric bill is agreeing with me.